Is this a wine deal? 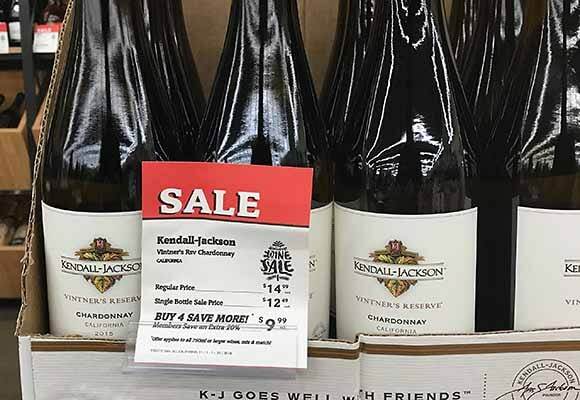 Good wine deals go quickly and the adage “You snooze, you lose” could not be more accurate than when it comes to Best Buy wines. If you want to take advantage of wine deals, you need to become a wine sleuth. How to hunt for bargain wines and Best Buy wines. First things first. What is a bargain wine or a Best Buy wine? We draw the line at $20 for a bottle of wine. There is no need to pay more to find bargain wines or Best Buy wines. There are plenty of great wines for under $20. Some criteria to consider. Consensus of wine writers and wine critics. Any wine that tastes twice as good as its price. Always peruse the wine shelves wherever you shop. Head to the wine department before you grocery shop. Learn your wine prices. When a wine is on sale, the store will usually boast a significant discount. The regular retail price used for the comparison is the highest possible price point. Sometimes it is a made up price. If you see a wine deal that is too good to be true, buy a bottle or two to taste and evaluate it. The only problem with this strategy is that by the time you get back to the store it might be gone. Many wine sleuths will go out to the parking lot area and try a taste in fear the wine will sell out if they wait too long. Keep a wine glass and corkscrew handy in the trunk of your car. If you have a Grocery Outlet near you, stop by and check out the wines. Grocery Outlet buys from wineries clearing inventory. Don’t buy the obscure labels, go by wine labels you know. Sign up at your local retail wine store for the shop’s newsletter. Check online dealers like K&L Wines and sign up for their email alerts. Learn how to read a wine label. Wine label reading is essential. Be a wine label detective. Use a Wine App – Delectable and Vivino are two excellent smartphone apps. Site up for email alerts for GoodCheapVino reviews. Sign up on right column at the top. We only review and recommend Best Buy wines. you recently ( I think ) had an article about the meaning of the terms “vinted ” produced” and “bottled” by. could you tell me what month that appeared ? 1. Get “Cellar Tracker” (CT) app on your phone – it has a built in UPC code reader which gives you CT scores for wines which have been evaluated by CT users. Only buy wines based on their CT score where there are five or more CT scores listed for that wine. 3. I use the UPC code reader and buy wines with CT scores equal or greater than 90. I buy one bottle, try it that night and jump on it if I like it. E.g., Costco had a Super Tuscan for $16.99 that scored 91.5 on CT and 94 from the pros. 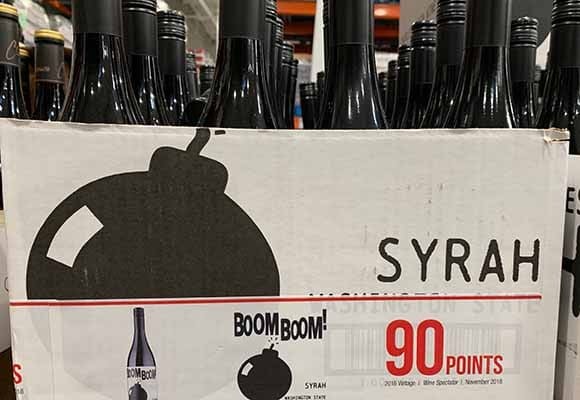 I bought a bottle, loved it and called the store at 11 AM next morning – they had 88 bottles left; by the time I got there at 2:30 there were only 8 bottles left (fortunately another Costco was loaded and I got three cases). 4. Do internet searches for wines recommended on this site and try and find CT review links that will give you their CT score. 5. Go to big discount wines stores (e.g., BevMo) that buy in bulk and look for double golds and high scoring wines, especially those that are on sale as two-fers. Again, use the UPC code reader to get a more realistic estimate of its score. 6. Before you buy a wine you like in bulk, search for the wine online – some east coast sellers have the wine wines listed cheaper than Costco and BevMo and offer discounts on shipping – also, they don’t charge sales tax unless they’re in the same State as you. Additionally, make sure they state on their website that they will not ship the wine to you if the weather is too hot or cold. 14.5% alc., pH 3.62, TA 0.61, RS unknown, 5,038 cases, $30. Inaugural bottling. One of the multiple brands owned by Delicato Family Vineyards, sourced from the San Bernabe Vineyard located at the southern edge of the Santa Lucia Mountains range. Elaborate packaging with a large golden wax dip on the top and neck with pull tab (string “lappet”) that is very difficult to open, and a necklace with the winery’s crest draped over the neck. The wax treatment is a copy of that used for the Belle Glos Pinot Noir wines. Sourced from San Bernabe Vineyard at the southern end of the Santa Lucia Mountain range and crafted by winemaker James Ewart. 96% Pinot Noir, 2% Grenache, 2% Syrah. 30% whole cluster. 5-day cold soak in stainless steel fermenters, proprietary yeast fermentation. Aged 10 months in 90% French oak, 8% neutral American oak and 2% Hungarian oak. A select portion of the wine was aged in Francois Frères barrels with toasted heads to amplify the oak influence. · Moderately dark reddish purple color in the glass. Aromas of very ripe blackberry and boysenberry with notes of spice, vanilla, violets, baking cocoa and char-infused oak. The wine pushes the ripeness envelope, with slightly sweet flavors of purple and black berry fruits, dark chocolate and spice. Slightly creamy and plush in the mouth, highly extracted, with balanced tannins and some finishing persistence. Not my favored style, but will find an audience in the consumer marketplace. Dark ruby color; rich black cherry nose; smooth and lush with sweet cherry fruit and hints of spice; juicy and rich. This is a dense and very heavy take on the grape, but done with elegance and style, showing vanilla cookie, clove and deep anise spice atop the black cherry of the nose. Gingerbread, red cinnamon and Christmas spice liven up the baked red plum fruit of the palate, which is laced with rich oak flavorings. Not a dainty wine. Vivid floral, peppery, toasty aromas leap out of the glass. You can taste Limari’s intense sun in the spicy, rich, almost chewy palate profile, but it’s also savoury and engaging. Well worth its Regional Trophy at this year’s DWWA 2015 and great value. Drink 2015-2020 Alc 13.5%. Very tasty but needs lots of air and time; was better on day 2.